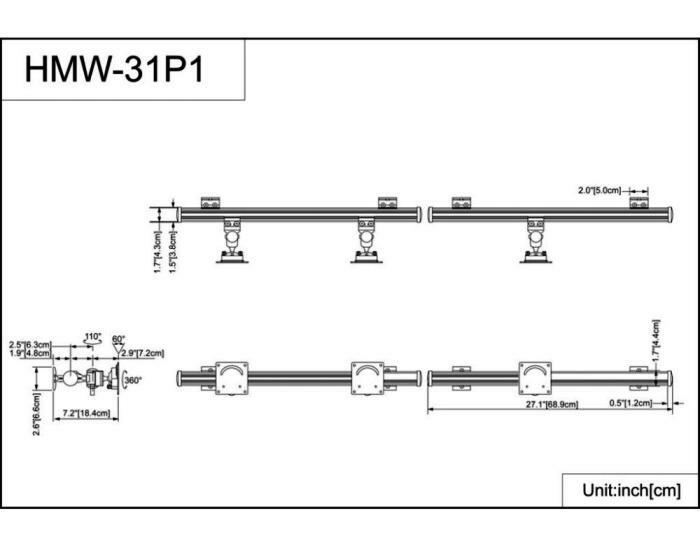 Supports three LCD flat panel displays, horizontally or vertically. 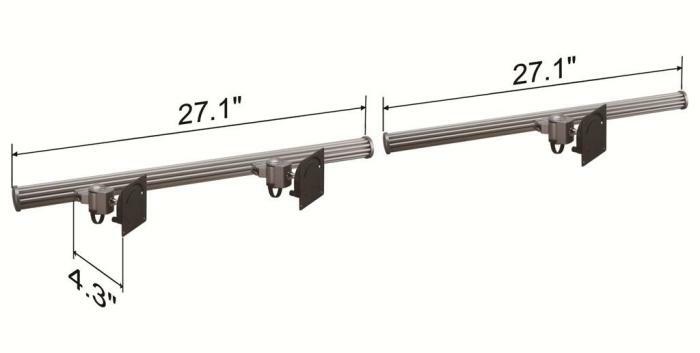 Wall Mount for Three Monitors Horizontal No Arm is a multiple monitor wall mount with 30 degree up/down tilt & up to 180 degree swivel functionalities. 360 degree monitor rotation enables portrait and landscape positioning. Aluminum alloy material renders the LCD monitor mount lightweight yet sturdiness, with weight capacity of 22 lbs (10 kg) for each monitor. Optimal viewing angles and most ergonomic positioning can be achieved through the multiple flat panel mount full motion characteristics. This mounting bracket, which fits all standard types of wall, is ideal for classrooms, offices, homes, public area, industrial settings, production line and many more. The monitor arm features integrated durability through state of the art engineering technology, and is tested for strength in our oversea manufacturing plant. The LCD wall mount has been built with the end user in mind, and features easy installation while offering intuitive, practical & functional design from one of the leading manufacturers of wall mounts. All our monitor mounts offer five year warranty.